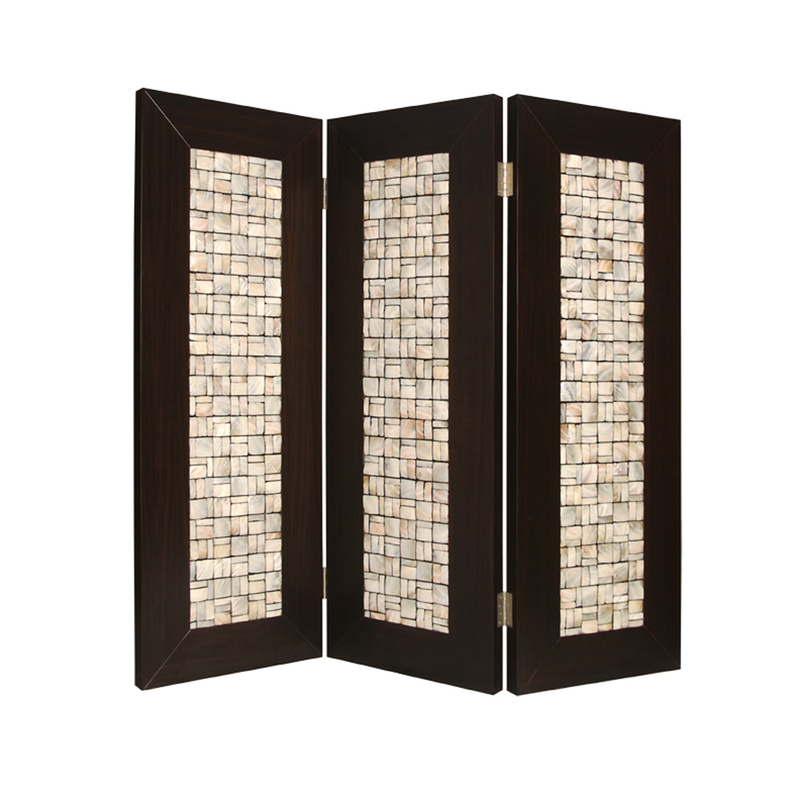 The Catalina Screen is elegant, modern, and classy – all in one beautiful, functional package. 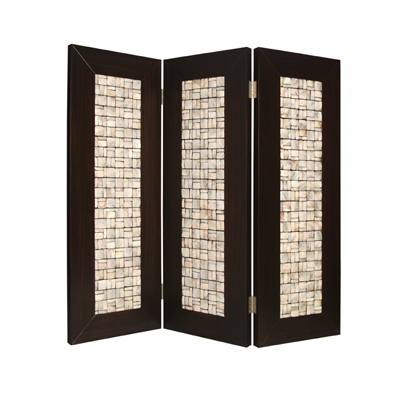 This high design, elegant three-panel screen has inlayed pearl shell. The square pearl pieces are collectively arranged in a stunning rectangular pattern resulting. The handmade screen is finished on both sides.